My sister sent a Halloween care package for my son and instead of candy included a few of his favorite Plum Organic baby food packets. She sent the pumpkin banana flavor which were delicious! It gave me an idea to make an adult version for my husband and I, and the little man actually liked it too! I added the flax purely for health benefits, so feel free to omit it for SCD. 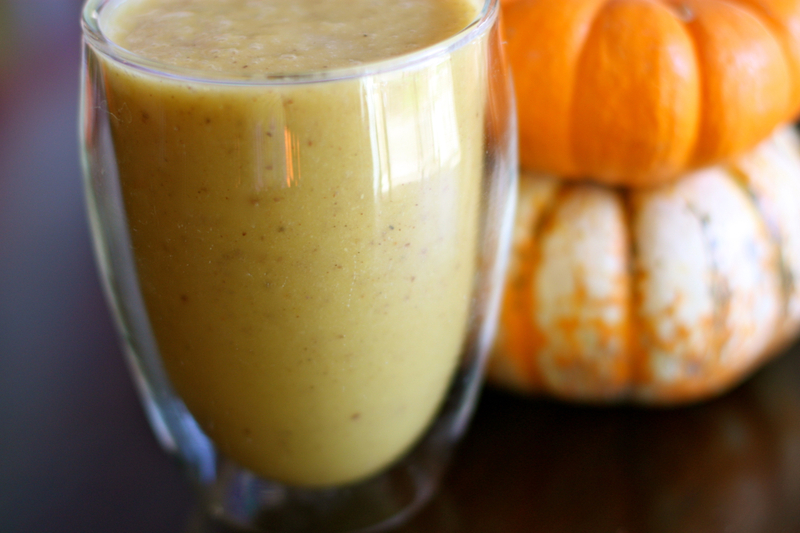 I have also made this smoothie with honey too, but something about pumpkin and maple syrup together is pure perfection to me. Blend all of the ingredients in a blender or vitamix!